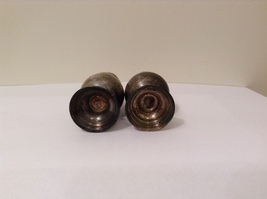 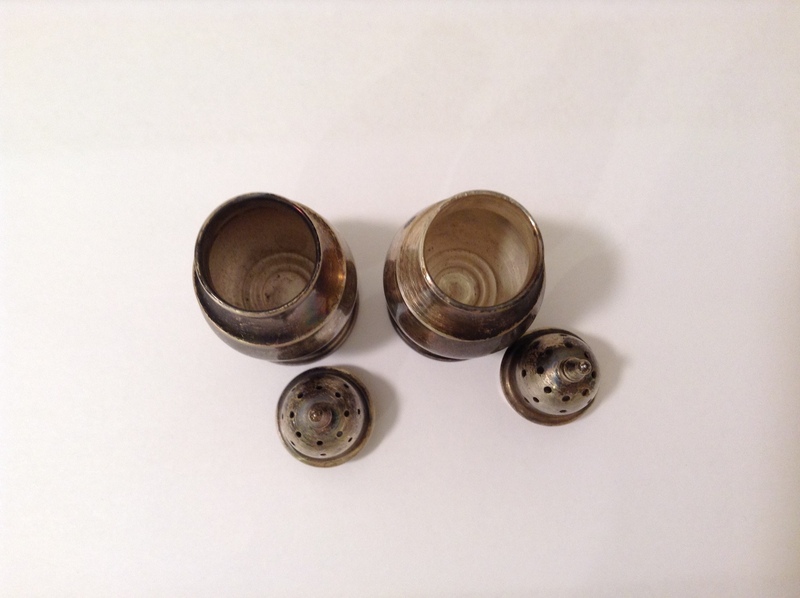 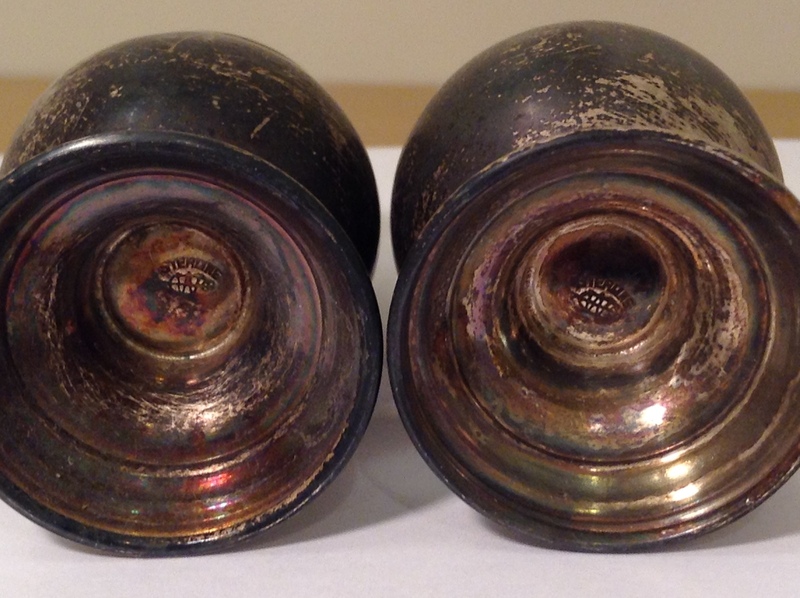 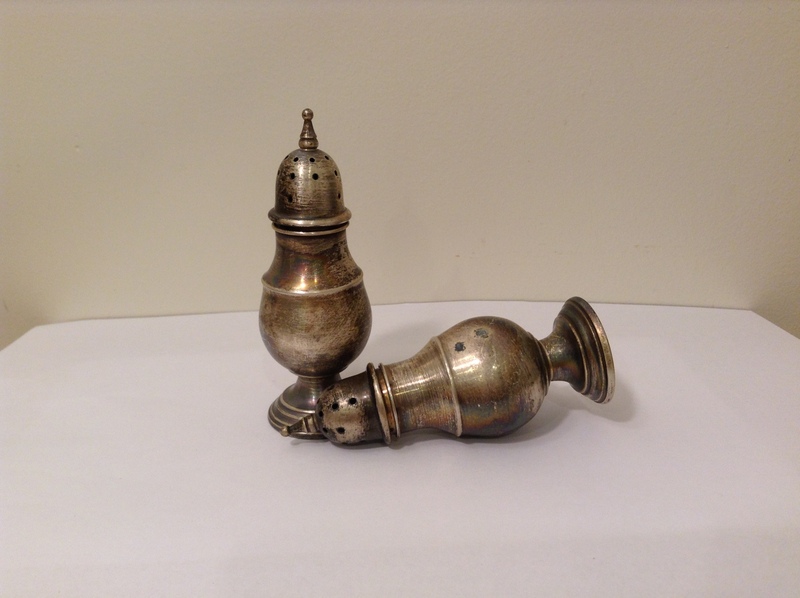 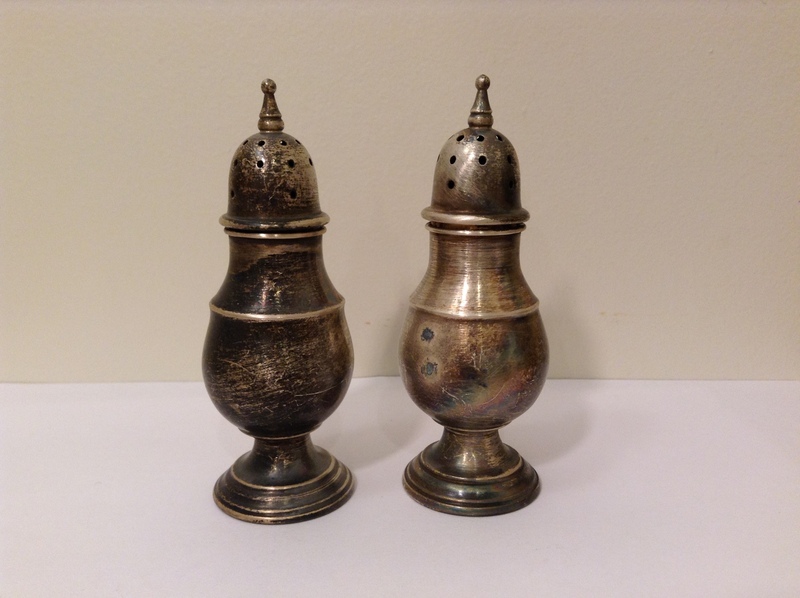 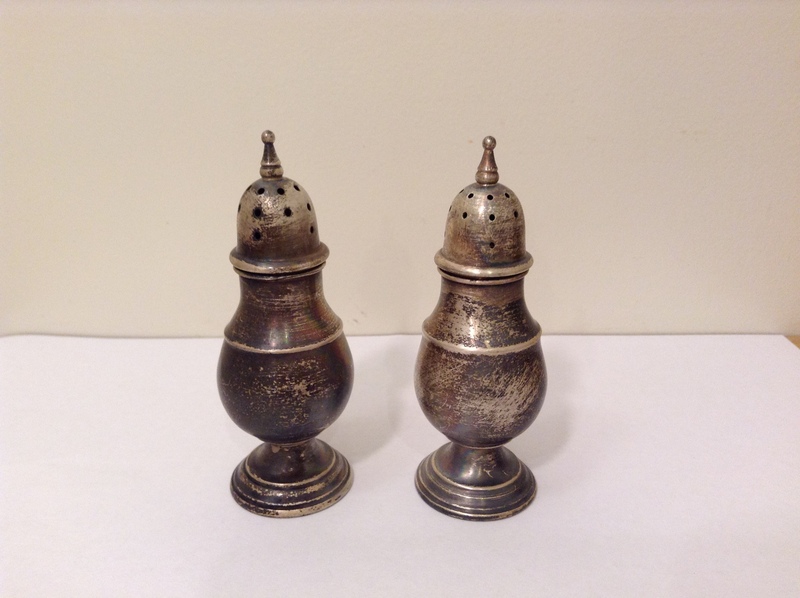 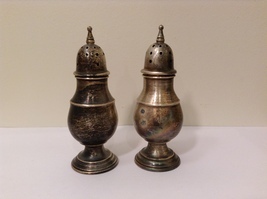 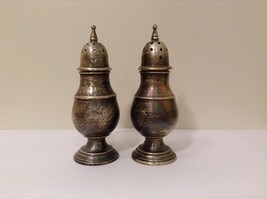 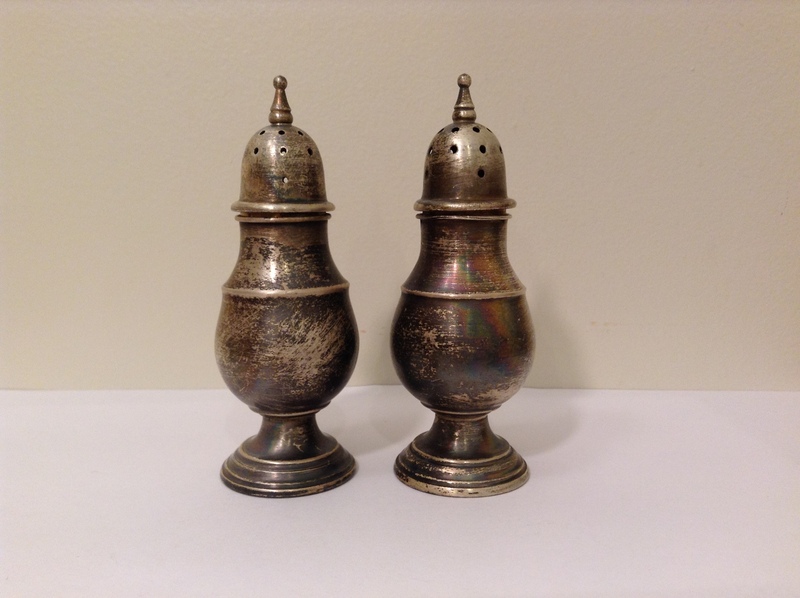 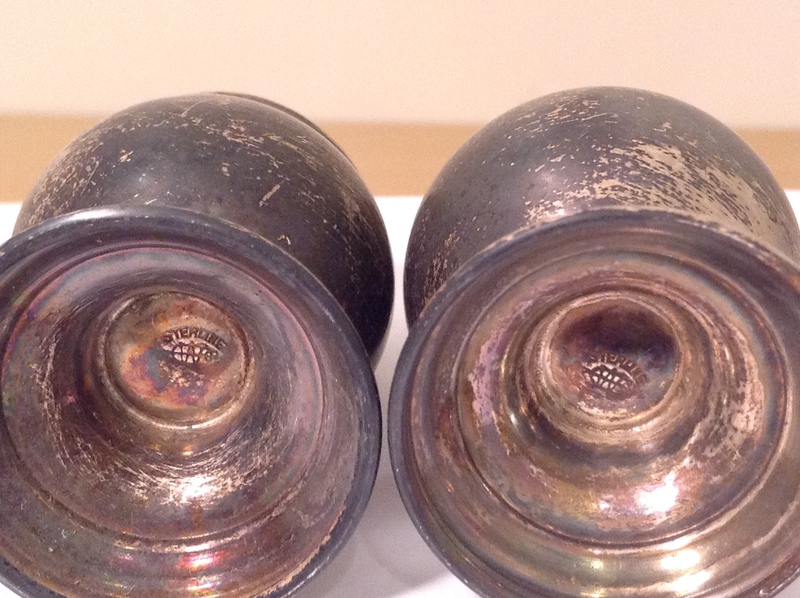 Vintage Sterling Silver Salt and Pepper Shakers Set. 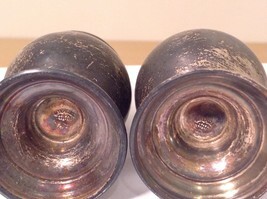 Cups press in. 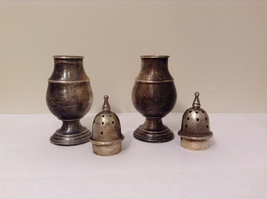 Measurements: Height about 3-1/2 inches, Width about 1-1/4 inches in widest part.